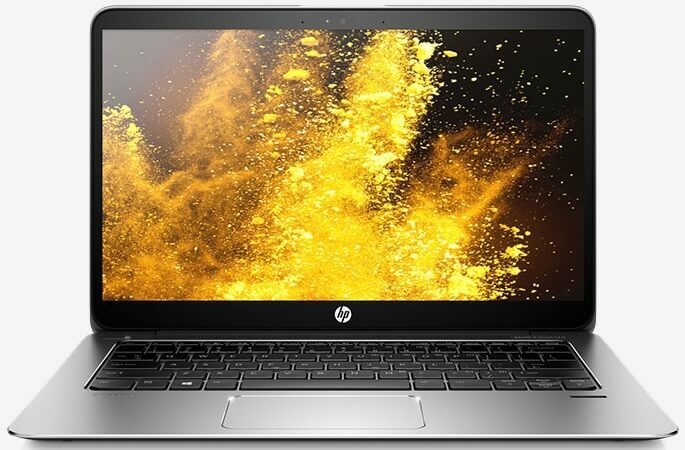 HP has expanded its business notebook line with the addition of the EliteBook 1030, a premium Windows 10 machine that goes on sale later this month. Positioned accordingly between the HP EliteBook 1020 and the 1040, the svelte notebook packs a 13.3-inch, Gorilla Glass-coated display in a chassis that’s meant for a 12.2-inch screen. It can be configured with either a full HD display (1,920 x 1,080) or a QHD+ touchscreen display sporting a resolution of 3,200 x 1,800. The EliteBook 1030 is powered by Intel’s sixth generation Core M series processor which HP claims is good for a 20 percent boost compared to last year’s model. The fanless notebook can be configured with up to 16GB of system memory and a 512GB solid state drive although those extras will cost you. The system features a bevy of ports including two USB 3.0 ports, a USB Type-C charging port and a full-sized HDMI video output. On the wireless side, it’s got 802.11 ac Wi-Fi, Bluetooth 4.2, WiDi and Miracast. Other goodies include Bang & Olufsen speakers, a spill-resistant, backlit keyboard and up to 13 hours of battery life which is about 40 percent longer than its predecessor. The HP EliteBook 1030 measures 12.2 inches x 8.3 inches x 0.62 inches and tips the scales at 2.55 pounds. Pricing will start at $1,249 when it goes on sale later this month.